A household have at least 5 cameras in some form. Everybody likes to take picture but no one have time & energy to organize them. TagEZ automatically organizes your digital photos so you can quickly find a photo whether its 2 days old or 20 years old. Its cloud based, so your photo stays on your PC only. Its a push button tool, like any appliance at your home. 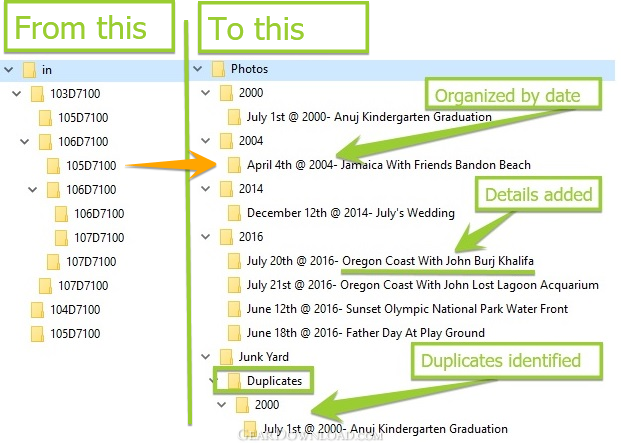 Simply point it to your unorganized photos, start it, and leave it running. TagEZ needs absolutely no babysitting. With TagEZ your photos stays organized, while you add more information from anywhere. You coude be organizing your photos from kids activities, your commute to work or from a boring meeting. What's New: + Minor cosmetic fixes + Lot of automation tests. PicaJet Photo Organizer 2.6.5 - Popular & easy-to-use digital photo album software. Free!